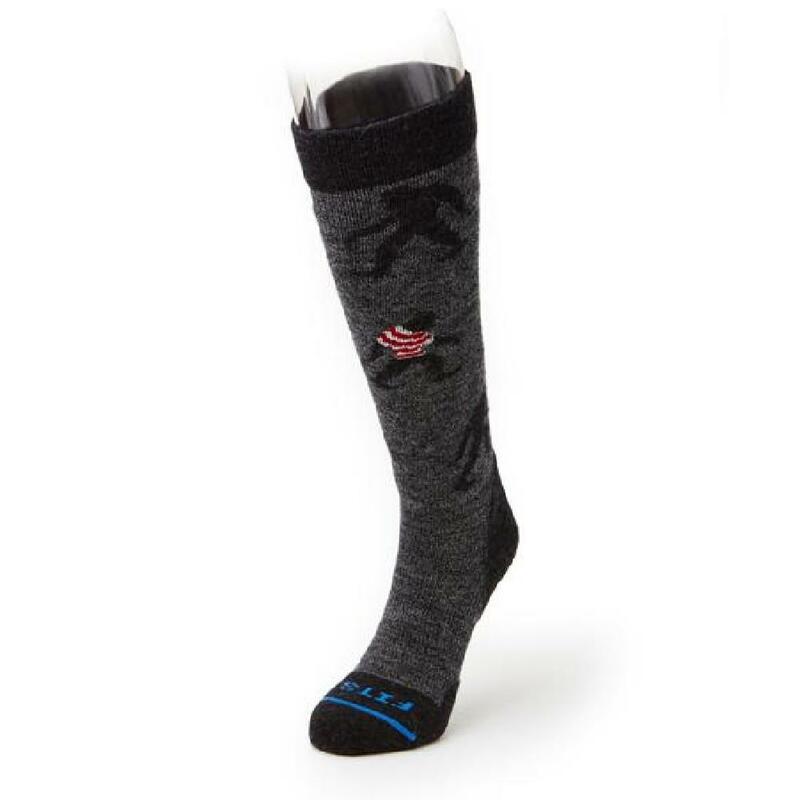 The Light Ski is our #1 seller — the perfect hybrid ski sock. Cushioning is located in the toe box, shin and heel, ideal for the skier looking for a high-performance ski sock with a little extra padding in all the right places. The Merino wool construction naturally wicks away moisture to regulate temperature while trailblazing. Great for long-lasting wear in the least accessible terrain. • Engineered using FITS’s Full Contact Fit®. • Dynamic Toe Cup® contours to the shape of your foot. • Heel Lock® provides heel security that limits the chances of a blister when combined with a properly fit boot. • Over-the-calf length falls just below the knee.